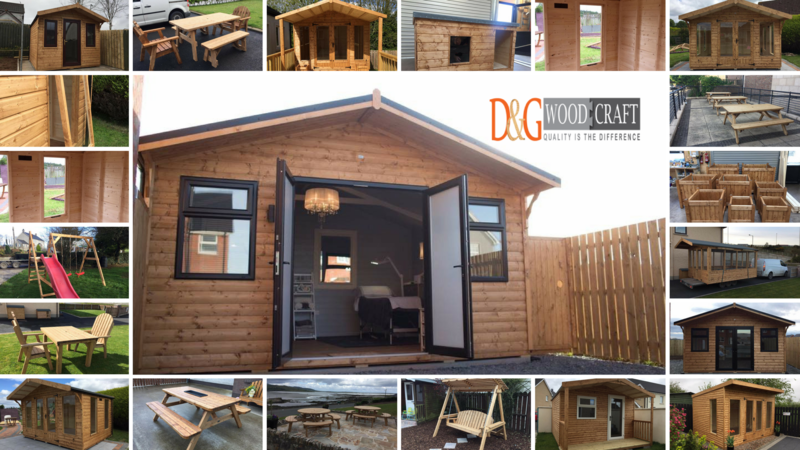 D and G Woodcraft specialises in creating handcrafted, high-quality wooden kennels and also dog houses. Whether they are a standard size wooden kennel or a bespoke design to your own needs and requirements, we can create you a wooden dog kennel to suit your needs. We are based in Dungannon but welcome customers from all over Ireland and UK. We have done dog and pet kennels, decking and made garden sheds and garden furniture for customers from Dungannon, Belfast, Lisburn, Newry, Armagh, Monaghan, Cavan, Fermanagh, Derry, Donegal, Sligo, Omagh and all over Tyrone, Banbridge, Dundalk, Derry, Dublin etc, People contact us from all over Ireland Noth and South because we are specialists in manufacturing high-quality sheds.